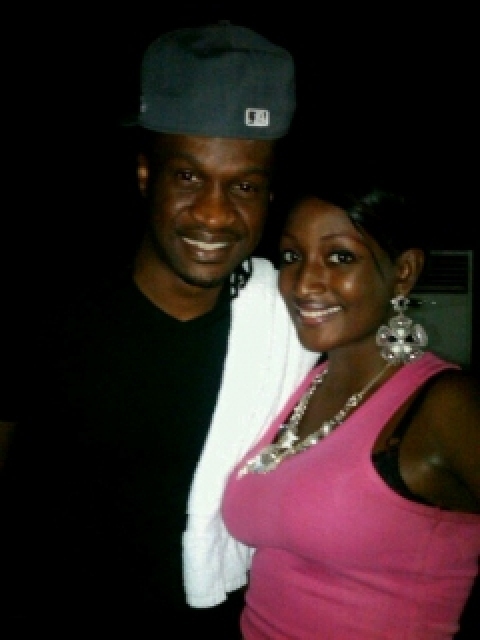 The paternity controversy between Nigerian music star and entertainer, P-2 (real name Paul Okoye), and a beauty pageant contestant and model, Elshamah Igbanoi, has taken a new twist. SaharaReporters first broke the news that Ms. Elshamah was stuck in London over unpaid maternity bills after giving birth to a baby boy she said was fathered by Paul. A close relative of Mr. Okoye’s has contacted SaharaReporters and asserted that the baby born by Ms. Elshamah Igbanoi, a former Miss Plateau State, is in fact the musician-entertainer’s first child. A few weeks ago, P-Square had thrown a party in Atlanta, Georgia to welcome another baby born by a different lover of his. A family source close to Mr. Okoye, known as “P-2” in the hip-hop musical duo P-Square, said the music artist was aware of Ms. Igbanoi’s pregnancy for him about the same time another lady, Anita, became pregnant for him. The source disclosed that the baby born in London is in fact Mr. Okoye’s first son, since he was born on April 7, 2013, three days before Anita delivered another baby in Atlanta on April 10, 2013. However, while P-2 was in Atlanta to announce the birth of Anita’s son, he abandoned Ms. Igbanoi to her fate in the UK. In our earlier report, we disclosed that the beauty pageant contestant’s hospital bills of more than 5000 pounds sterling were yet to be paid. We also reported that Ms. Igbanoi had received several demands for payment from Queen Charlotte and Chelsea Hospital on Du Cane Road, London W12 0HS where her baby was born. SaharaReporters obtained several photographs indicating that Ms. Elshamah Igbanoi attended the burial of P-2’s mother on August 2, 2012 while she was already pregnant for him. The family source lamented that Paul and his team members were out to portray Elshama as a groupie who was after the musician’s fame and wealth. “We know her to be a responsible lady who trusted Paul,” said the source. He added: “She had been with him since she was 17 years old.” Ms. Igbanoi is now 19 years old and third year law student at the University of Jos. Elshama’s parents are successful lawyers in Nigeria, while she is a third year law student at the University of Jos. Ms. Igbanoi is still in London and is now in an apartment with her new-born baby named Mishel Paul Okoye.